Be disciplined as never before. The Mentor Application is a unique application that helps traders to achieve better results through strengthening their discipline. 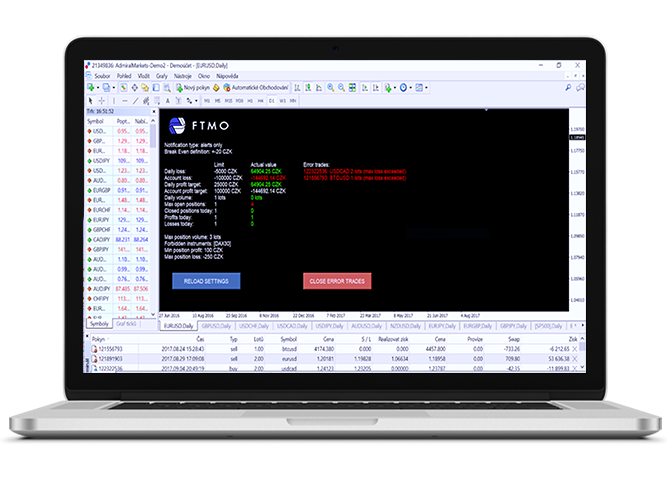 Our Mentor Application forces you to follow your own rules and risk-limits, it also monitors the Trading Objectives, and has many useful features. Works in the Metatrader 4 platform with any broker. Say no-more to over-trading and greed. Strengthen your discipline with the help of our Mentor Application. What does the Mentor App monitors? Why to use the Mentor Application? What our traders say about the Mentor Application?